Size of this PNG preview of this SVG file: 800 × 489 picteilín. Other resolutions: 320 × 196 picteilín | 640 × 391 picteilín | 1,024 × 626 picteilín | 1,280 × 782 picteilín | 1,800 × 1,100 picteilín. faoi láthair 05:38, 14 Iúil 2009 1,800 × 1,100 (275 bytes) Fibonacci Greatly simplified code. 03:01, 9 Eanáir 2007 180 × 110 (728 bytes) Zscout370 I was informed the colors were incorrect, so I used Photoshop to get the Pantone shade of blue. 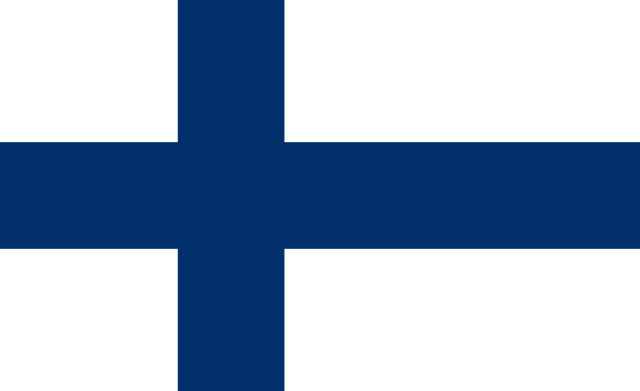 16:06, 21 Deireadh Fómhair 2005 18,000 × 11,000 (464 bytes) Dbenbenn make flag ratio be exactly 11:18, and make cross ratios be exactly 5:3:10 (horizontal) and 4:3:4 (vertical). Changes are PD.